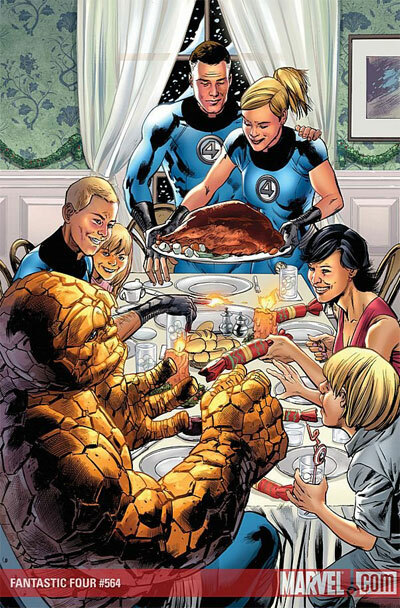 Happy Thanksgiving To The Geeks! Happy Thanksgiving to all of you here in the United States! For my international readers… sorry, our country is closed today for massive turkey consumption and tryptophan-induced comas. Come back tomorrow for the craziest shopping day of the year. 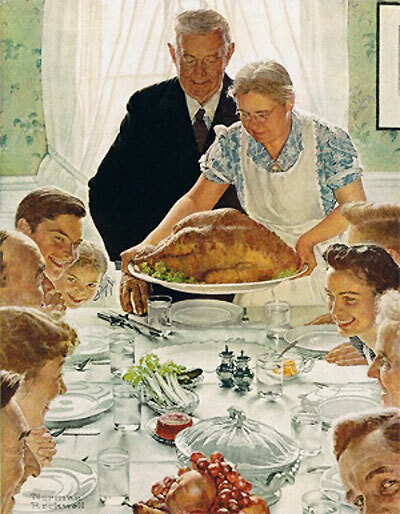 Continuing my passion for Norman Rockwell… here is his 1943 “Freedom from Want” image representing Thanksgiving. And now for your geek WTF moment… Here is the cover of the upcoming Fantastic Four #564. First, this cover is obviously an homage to Rockwell’s Thanksgiving image, however, they are celebrating Christmas on the cover. Huh? Second, this Christmas-themed issue is being released in February 2009. Double huh? That Marvel Xmas is a bit odd, but I’ve noticed an increasingly bizarre trend of UK companies having their XMAS parties in January / February. They say it’s to avoid all the hassles of booking somewhere in December, but isn’t it all a bit weird and miles away from the party spirit? Happy thanksgiving to you too. I think calling one a better homage than the other is unfair, because you can’t really expect The Thing to sit at a table the same way as normal sized people. And a Happy Thanksgiving to you too. 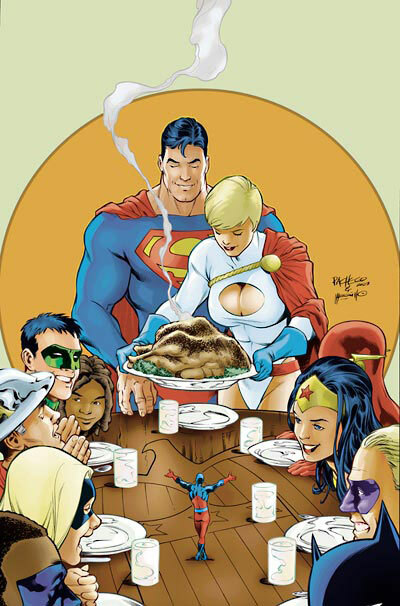 Yowsa to that JSA Thanksgiving cover. My eyes can’t help being riveted to the breast piece!